Tulsa Flooring is a vital component of interior design. It doesn’t matter if you’re making interior design choices for a business or for a residence, either. It’s always critical to take flooring into consideration. There are many different things that go into selecting A+ flooring as well. It’s crucial to prioritize everything from material choice to appearance. If you’re currently trying to make a strong flooring choice for a residence or for a business, it may be time to think in detail about wood. Wood flooring is a common sight in residential and commercial settings all around the world. Hardwood floors specifically are a common sight. People are attracted to wood floors for a range of pertinent reasons. People who are enthusiastic about wood flooring that’s resilient and attractive at the same time often are big fans. 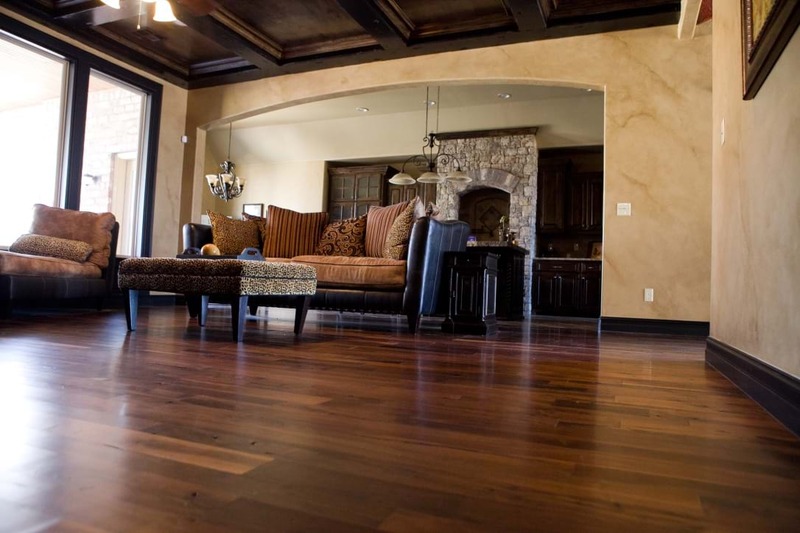 Tulsa Hardwood Floors: What Advantages Do They Bring to the Table? People who are trying to make intelligent and sensible wood flooring choices need to assess all of the advantages that are possible. Analyzing and understanding wood flooring in great detail can make the decision process a lot easier and speedier. This kind of flooring, first and foremost, can boost the visual appeal of any living or working space. Hardwood floors exude pure sophistication. Although they have refined and enduring appearances, they simultaneously introduce senses of coziness. People who see hardwood floors tend to instantly feel a lot more relaxed. It isn’t uncommon for people to associate these wood floors with extra room, either. They have the ability to contribute to illusions of spaciousness. Flooring upkeep work can be a major hassle for anyone. Most people don’t want to have to take on time-consuming floor maintenance requirements week in and week out. Hardwood flooring is convenient due to the fact that its maintenance requirements are minimal. Cleaning this kind of flooring generally is a speedy process. It’s usually a piece of cake in general. People can opt to vacuum, steam clean or sweep this form of flooring. These methods can all do away with the collection of dirt and grime. This flooring can be terrific for people who have concerns that involve pet dander and dust mites. If you don’t want to have to live or work in an environment that’s chock-full of those things, then hardwood may be the ideal material for your floor. It makes indoor air quality a lot purer and more pleasant. These floors, last but not least, also aren’t at all vulnerable to the development of stains. They’re nothing like carpet in this sense. Spills don’t have to strike fear into your heart. If you somehow get a beverage on your hardwood floor, gently and rapidly blotting it should work like a charm. This flooring is associated with pure resilience. If you’ve had it up to here with flooring that’s on the feeble side, then investing in hardwood should make a refreshing and game-changing experience for you. Since hardwood is so tough, it can easily stand the test of time. It can manage a substantial amount of foot traffic on a daily basis as well. If you don’t ever want to have to worry about energetic pets, kids and their nonstop activities, then hardwood may be optimal for your residence. It can also be appropriate in commercial settings that receive significant numbers of customers and clients all of the time. It can be frustrating to work or reside in a space that’s equipped with inferior acoustics. If you opt for hardwood, you can revel in acoustics that are strong. Appropriate installation practices can safeguard you from the annoyances of vibrations. If you want to find out more about hardwood floors and how they can affect your lifestyle, contact Tulsa’s Brucke Flooring Company without hesitation. We can tell you everything you need to know about gorgeous hardwood flooring.